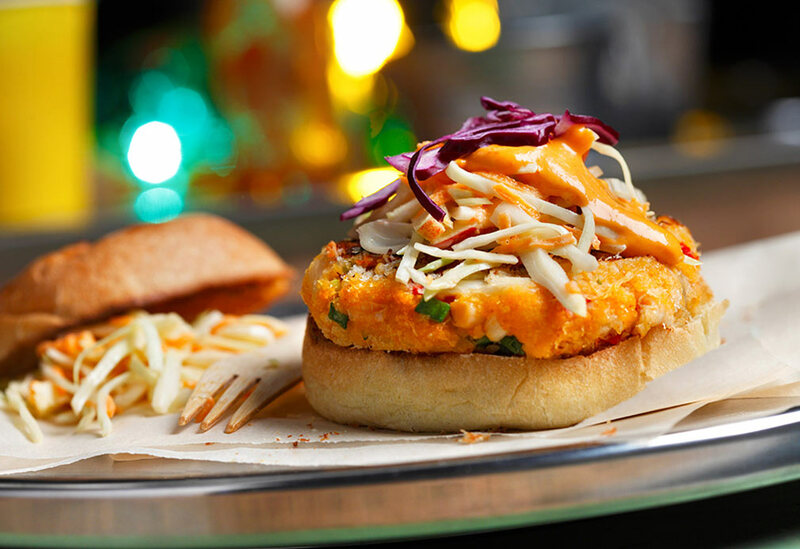 These unique sliders feature spicy crab cakes, which are cooled by an apple-based coleslaw. Layers of flavor come from rice vinegar, Sriracha (Thai hot sauce) and fire-roasted red peppers. Both canola oil and canola mayonnaise are used to lighten the textures of the three recipe components. 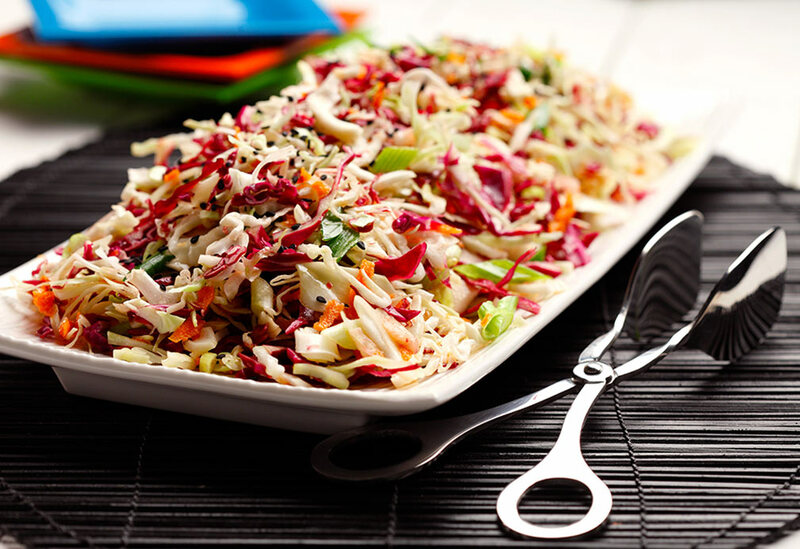 To make Creamy Apple Coleslaw: In large bowl, combine all coleslaw ingredients. Refrigerate until ready to use. To make Sriracha Mayo: In small bowl, combine mayo ingredients. Refrigerate until ready to use. 1. 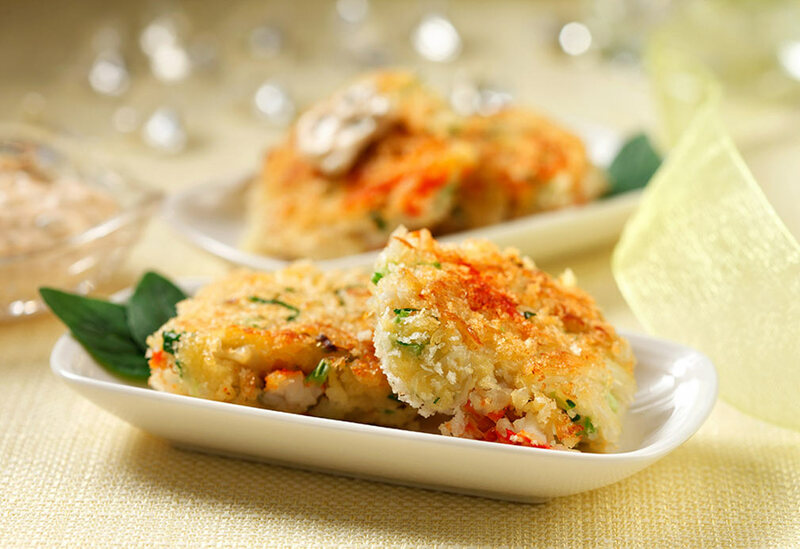 In a medium bowl, combine crab meat, 1½ cups (325 mL) panko, roasted red peppers, green onions, Sriracha, mayonnaise and salt together. Form crab cakes into 8 patties. Coat each patty in remaining panko. 2. In cast-iron skillet, heat canola oil over medium heat. 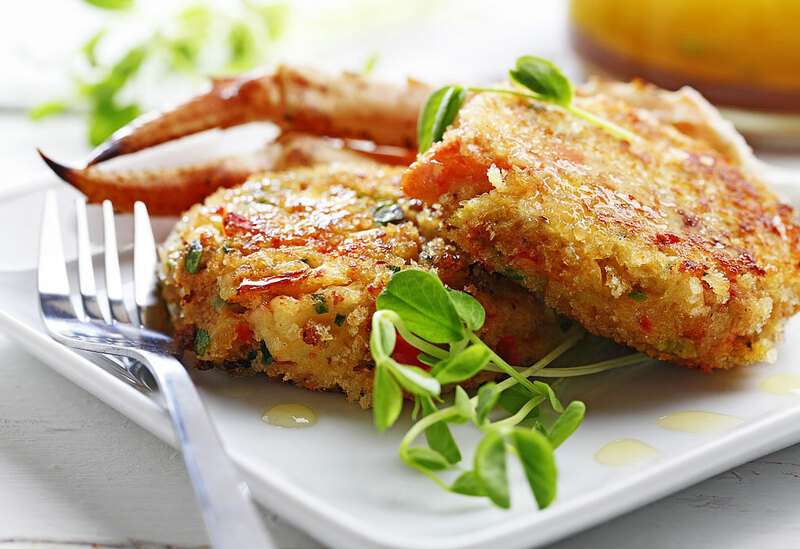 Sauté crab cakes 3 minutes, then flip over for additional 2 minutes. Crab cakes should be light brown. 3. Lightly toast both sides of sweet rolls in oven or clean skillet. Top each sweet roll with one crab cake, 1/3 cup (75 mL) Creamy Apple Coleslaw, 2 Tbsp (30 mL) Sriracha mayo and 1/4 cup (60 mL) shredded purple cabbage. Serve with leftover Creamy Apple Coleslaw. 1 crab cake roll, 1/3 cup (75 mL) Creamy Apple Slaw, 2 Tbsp (30 mL) Sriracha mayo and 1/4 cup (60 mL) shredded purple cabbage.